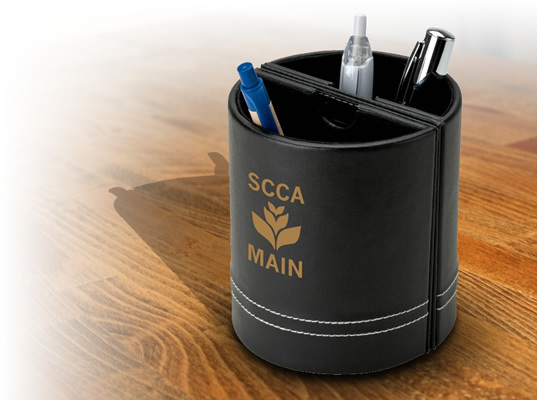 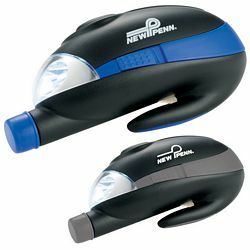 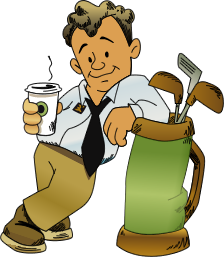 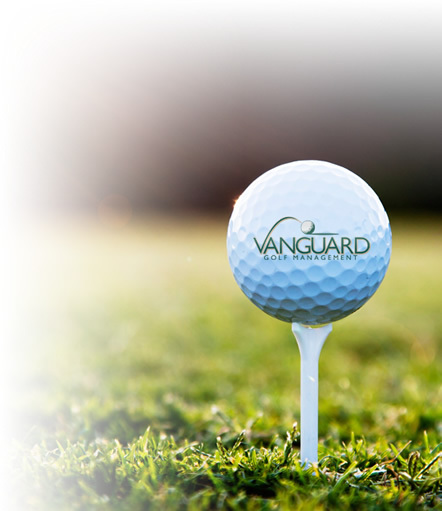 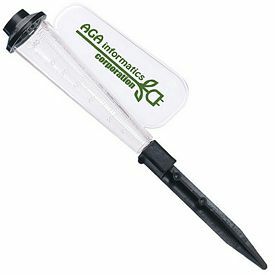 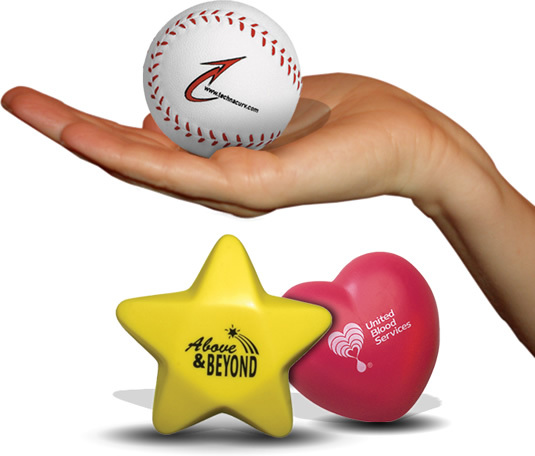 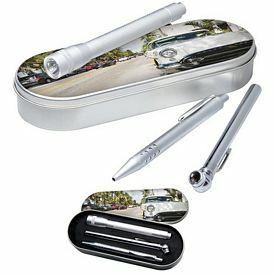 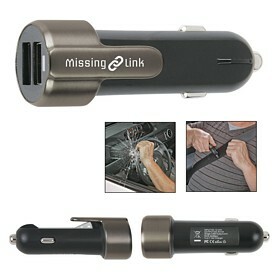 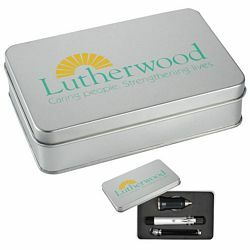 Promotional products make an impact if they are useful and functional. 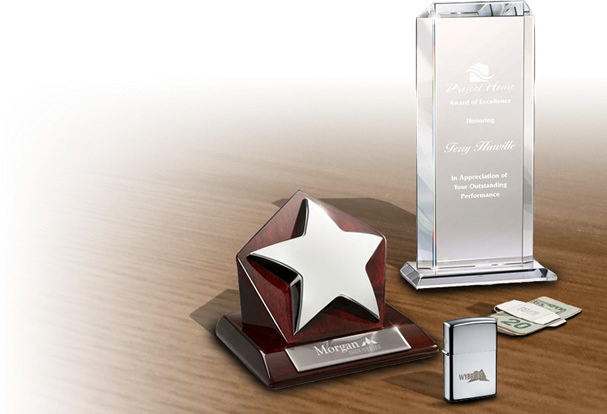 People tend to look up to your company if they are provided with corporate gifts that come in handy. 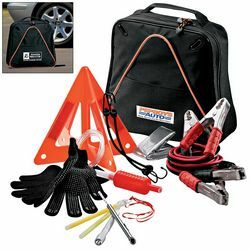 Most car drivers or vehicle owners recognize the importance of emergency or roadside kits and keep them in the vehicles at all times. 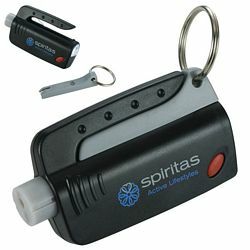 They come in great use during emergencies and help a consumer in taking restorative measures immediately. 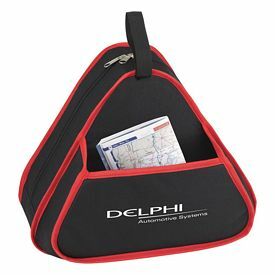 No one can rule out calamities or accidents while traveling and custom first-aid kits should also be there in the vehicle in order to ensure some kind of safety to the people. 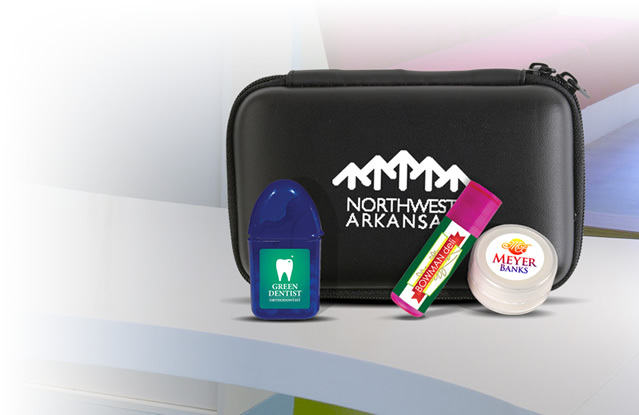 Imagine your company name and logo being imprinted on these advertising products. 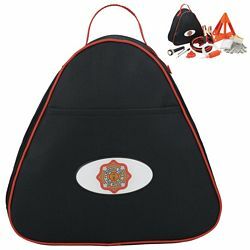 Careful study of accidents and mishaps reveal the need for a few tools and equipment to be placed in the customized emergency kits. 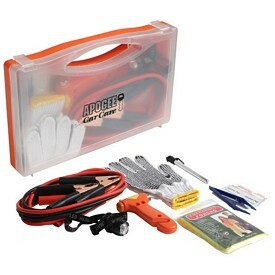 A few of the most basic examples include screwdrivers, grips, pliers, tire pressure gauges, jumper cables, and various other repair tools that can get a car started again in case of a breakdown. 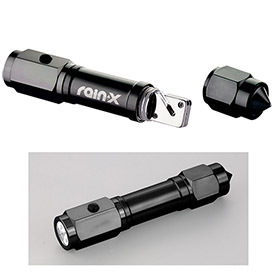 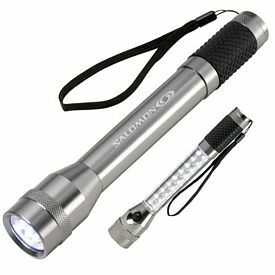 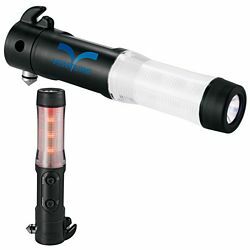 Apart from that, flashlights, warning lights, and additional batteries also come in handy if people get stuck when it’s dark outside. 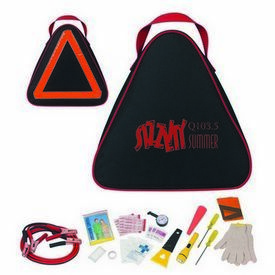 Logo safety kits also consist of basic first-aid items like bandages, a few medicines, tweezers, medical gloves, etc. 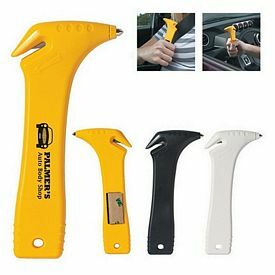 A little precaution has known to save many lives and the wise are always one step ahead while ensuring the safety of their family and friends. 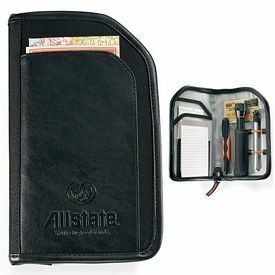 As a distributor of these products, you have a variety of options placed before you. 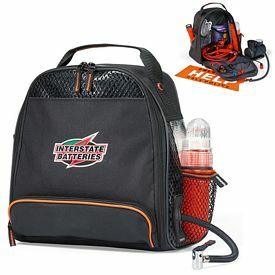 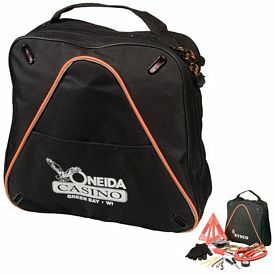 So, use your own creativity and logic to create the best customized emergency kits with your company logo. 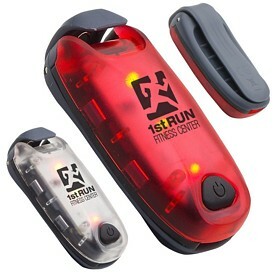 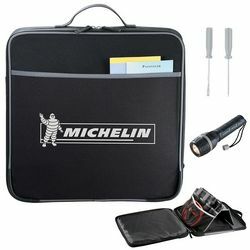 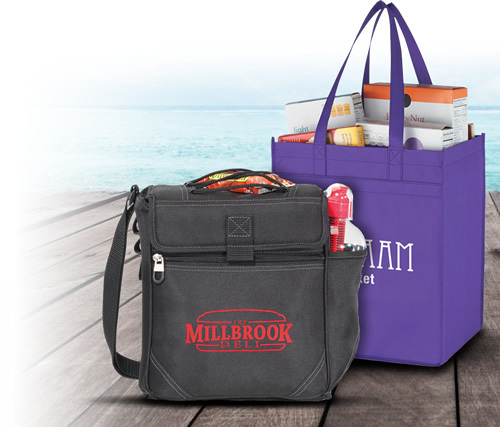 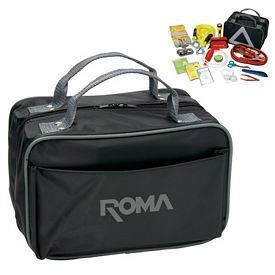 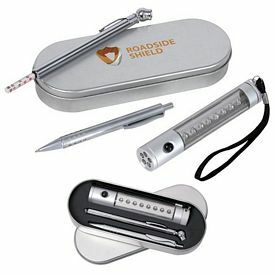 Promotional emergency kits with no setup fees come with excellent purchase options and prices. 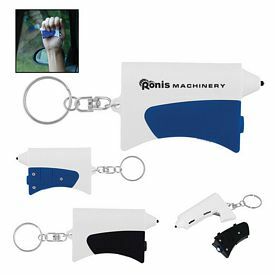 There are various 24 hour free rush offers and you can browse our online catalogs to know about the details of all the products that catch your eye. 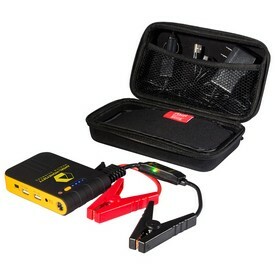 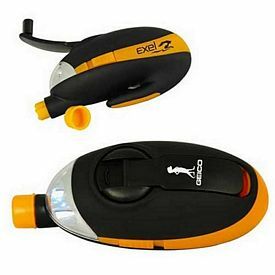 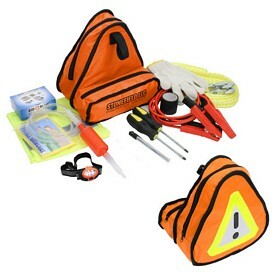 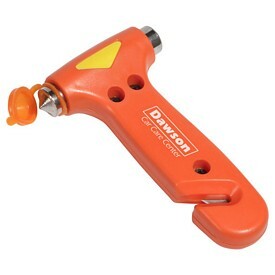 The promotional Giftcor brand of emergency kits and products include various packages that include useful items and tools like window breakers, flashlights, seat belt cutters, safety flashers, pliers, screwdrivers, hammers, car adapters, gloves, tire gauges, and various other things. 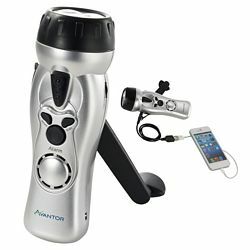 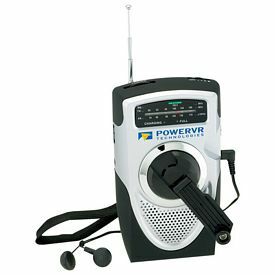 There is also an FM, AM survival radio that is a very popular item to be used in times of emergencies. 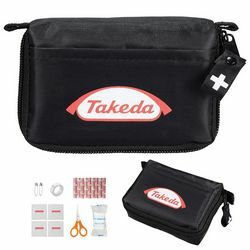 Coming to promotional first-aid safety kits, there are large or small boxes that contain items like ear swabs, alcohol swabs, roll of cotton, roll of tape, tweezers, bandage fasteners and pill holders. 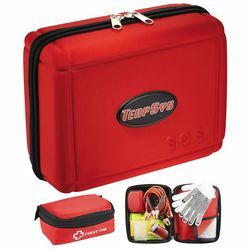 If you want to start out small with your own personalized emergency safety kits for your customers, then you can choose a small or single emergency tool or product instead of ordering for a whole kit. 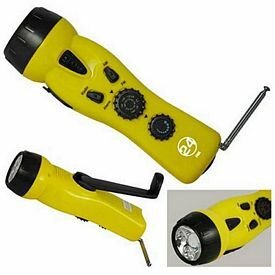 For example, you can offer seat belt cutters, flashlights, air compressors, small radios, and small first aid boxes-individually. 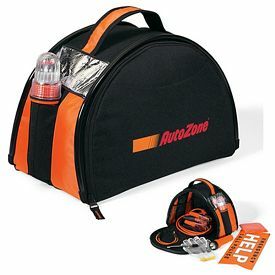 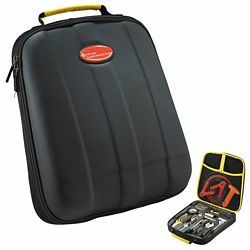 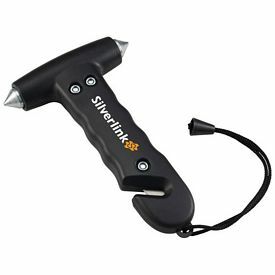 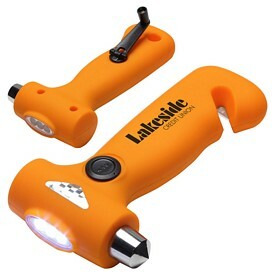 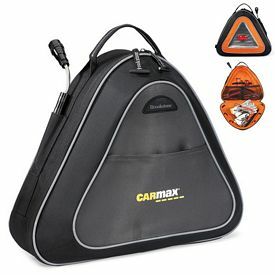 Promotional safety products and kits are useful in minor to extreme conditions. 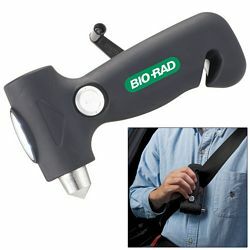 This means that you can make an instant effect on people with promo auto kits.